Danny MacAskill fixe les règles ! 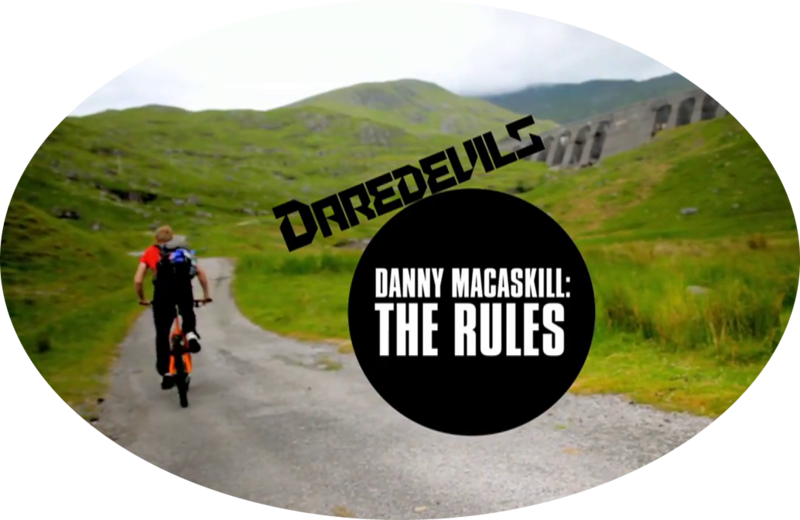 Danny MacAskill sets the rules! RedBull / Inspired street star Danny MacAskill has been working once again with Mike Christie, the director of Jump London and Concrete Circus. The latter brought together a handful of stars from the urban sports world, included Danny, and teamed them up with film makers to see what they could produce (see Danny’s Industrial Revolutions). Danny’s back on Channel 4 this summer, in a new hour-long documentary, Daredevils – Life on the Edge. He explores the world of extreme sports in order to understand and explain why its practitioners take such high risks in their quest for the next rush, and sets out some key points on how he practices his sport. Are these guys just ‘adrenaline junkies’, or is there something else behind it all? Danny then sets out his 10 Rules of Risk that he applies to his riding and to the extreme sportsmen that he meets in this documentary. Here are the Rules of Risk, according to Danny. Check out the full documentary on 4OD. Rule 1: Check Your Gear, Or Eat Crap! Watch Danny MacAskill and Jokke Summer talk about how they approach risk. Rule 2: Remember What You’re Doing is Fun! 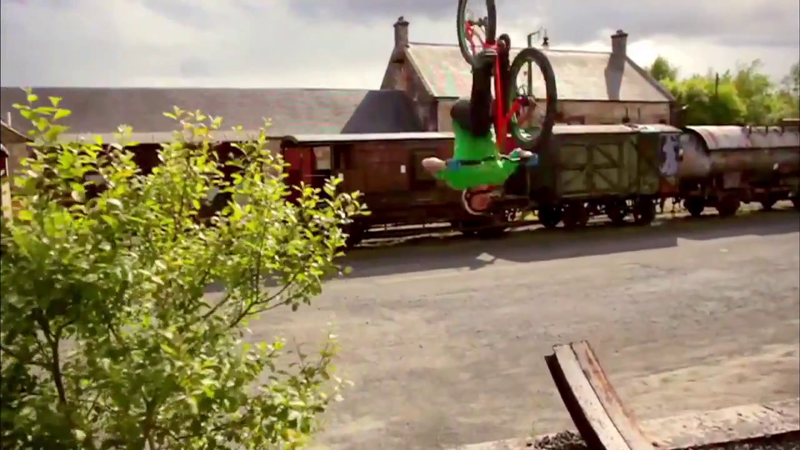 Watch Danny MacAskill and The Frenchies talk about how they approach risk. Rule 3: Control Is King! Watch Danny MacAskill and The Frenchies talk about how they approach risk. Rule 4: If In Doubt - Flat Out! 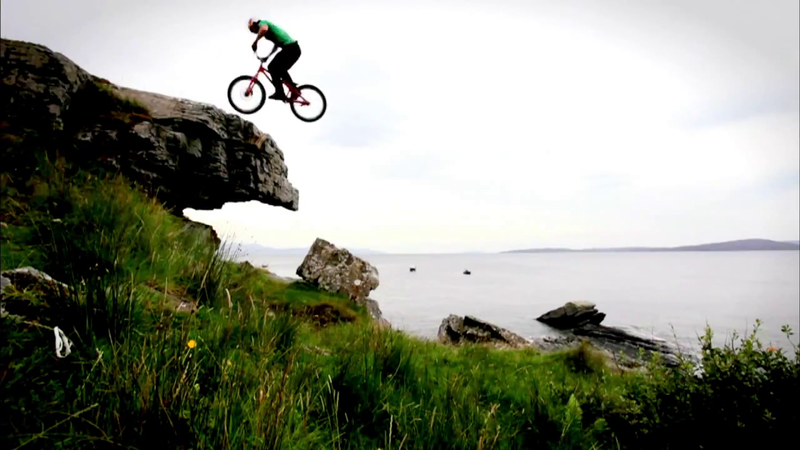 Watch Danny MacAskill and Guy Martin talk about how they approach risk. Rule 5: Trust In Your Ability! Watch Danny MacAskill and Stu Thompson talk about Garrett McNamara and how they approach risk. Rule 6: Know Your Lines! Watch Danny MacAskill, Guy Martin and Jokke Summer talk about and how they approach risk. Rule 7: Anything Can and Should be Ridden! Watch Danny MacAskill and The Frenchies talk about how they approach risk. Rule 8: Doubt Is The Enemy! Watch Danny MacAskill and The Frenchies talk about how they approach risk. Rule 9: Be Ready To Adapt! 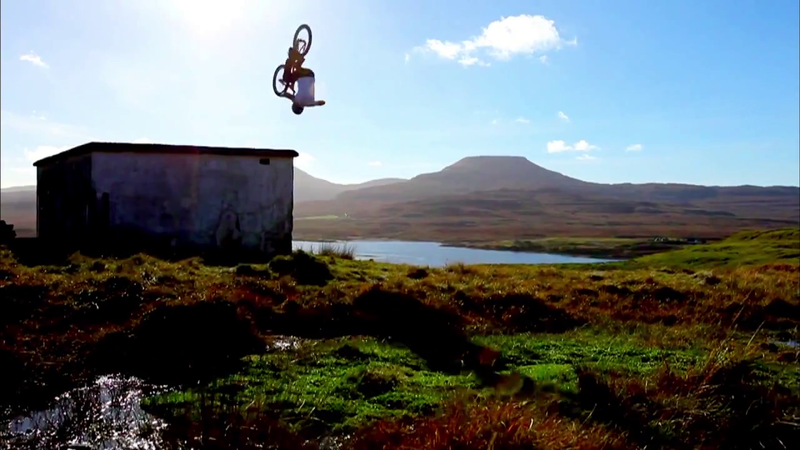 Watch Danny MacAskill and The Frenchies talk about how they approach risk. 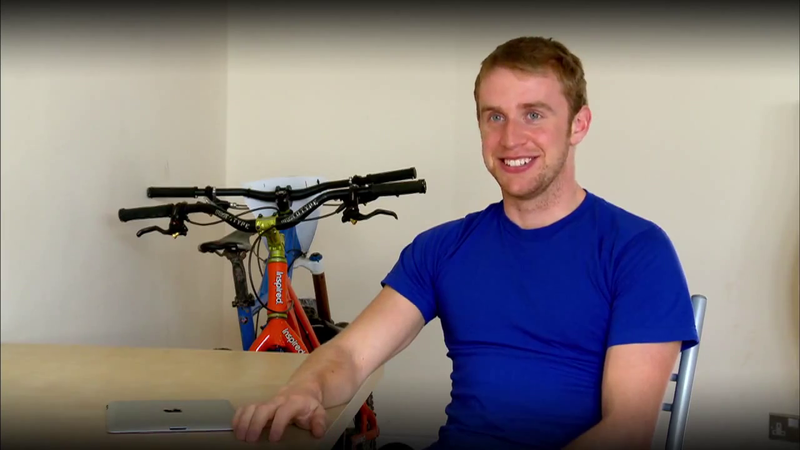 Rule 10: If At First You Don’t Succeed... Watch Danny MacAskill and The Frenchies talk about how they approach risk. Can you apply these rules to your riding? Sam "Flipp" Packman and Stan Shaw at Shipley Glen: two different approaches, but each as aesthetic and effective as the other! Stan Shaw a le flow ! 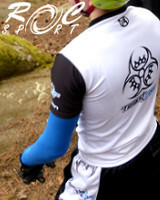 Jack "Clean Machine" Carthy has signed a deal with new shop Enter-Bike for the 2012 season. Here’s a quick word from Jack and his first video on his new bike! Brakeless genius Sam ‘Flipp’ Packman is probably ranked among most people’s favourite riders at the moment. His creativity, balls and sheer skill on a bike are fast becoming legendary, and people are starting to take notice. He’s just joined the Tarty Bikes team, and Mark Westlake has put out this welcome edit, filmed at Lee Mill Quarry last week. Another Australian pro, another brilliant video. Following Andrew Dickey’s masterpiece, Australia’s No. 2 rider Joe Brewer brings you another street video with high production values and fantastic riding! Aran Cook, the Trials Gypsy, has been back on the road again. the young English rider has been travelling across the US on a roadtrip through the majority of the states, hitting up some amazing spots on his way! Ben Travis has started the year off with his first project of 2012, a fantastic brakeless video in which he combines his trademark big moves with an incredible style and flow. Brilliant! A video and some behind the scenes photos from the 2012 Australian Championships, held in Adelaide and won, again, by Andrew Dickey. We knew that eight-time Australian Champion Andrew Dickey was working on a crazy new video... but we weren’t expecting this! It’s not just street riders that can put together great videos... and Swiss Champion Jérôme Chapuis has the proof! Incredible riding (especially when you consider the ice and snow), perfect soundtrack, superb editing, this video has it all! Tribal Zine were at the La Canche aux Merciers "secret spot" for a pretty spectacular training session with Supermance, Hege, Nico’ and co La Canche aux Merciers. Here are the video and photos of the day. Radfest, a festival of trials held at the famous Barrow Farm in Essex, is now an unmissable event in the UK trials calendar. Here’s the video of the 2011 edition, by Jonny Jones, and details of how to sign up for this year’s event! TRA, the born again street rider! TRA touché par la grâce ! Norwegian trials monster Thomas Remvik Aasen has had a change of direction. He’s now riding an Inspired Hex and has adjusted his style somewhat to suit his new bike. It’s the most impressive street riding we’ve seen since Danny Mac! 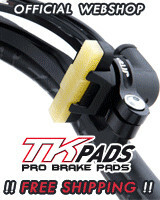 Brakeless trials seems to be taking off, in the UK at least, and riders like Flipp are managing to reach an extraordinary level that many of us fail to attain even WITH brakes!